How is there only one month of the year left already? Today I'm sharing with you all the things I have been loving this month. First of all, Benetint from Benefit. I got this in a set for my birthday and I wasn't expecting much from it, however I really like. You apply it to lips with the brush and rub it in, it gives colour to your lips yet doesn't feel like you have anything on them. I have really enjoyed it this month. I also recieved Benefit's Roller Lash in the set and I have really loved that too. It is my favourite mascara at the moment and makes lashes look amazing. I bought a scarf from River Island this month. 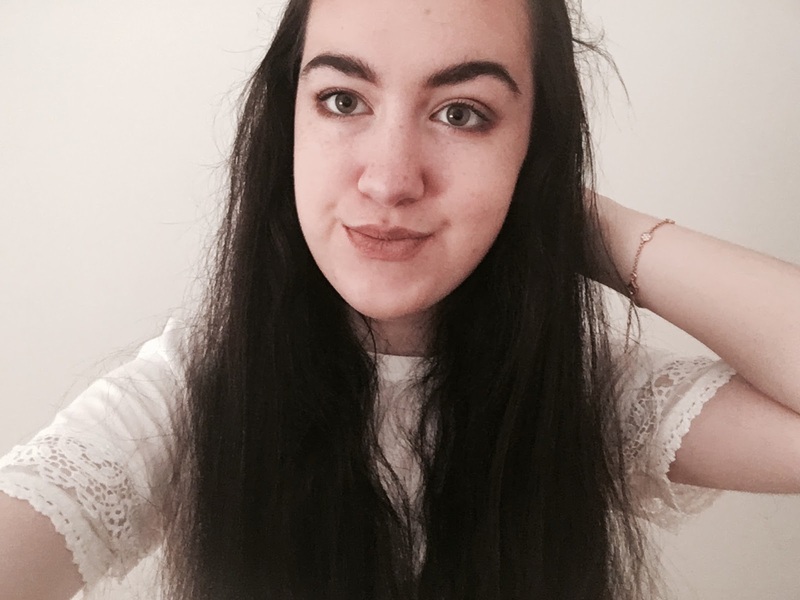 It is really warm and soft and I love the autumnal colours so I've been wearing it a lot - especially to school in the cold mornings! 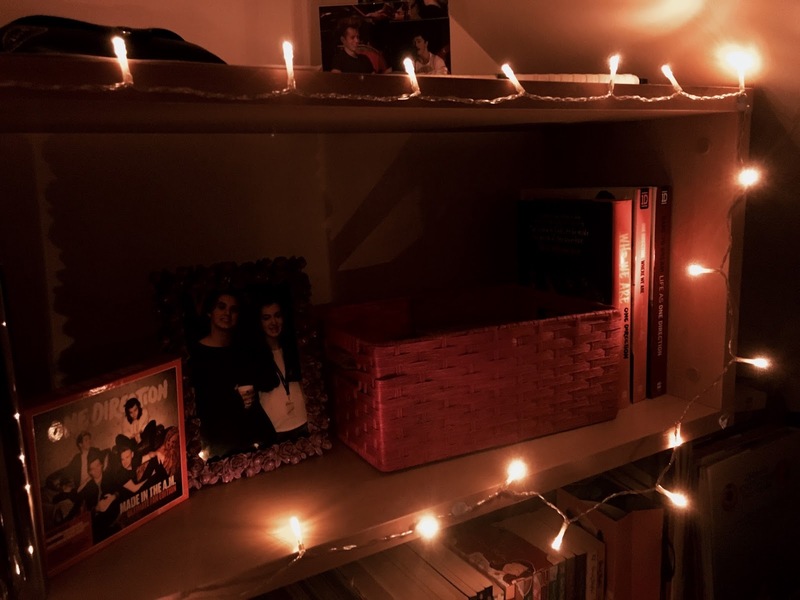 I also put some fairy lights up in my room recently and I think they look really pretty and festive so I thought I'd show you in my favourites post! I think they look really cute. It is the time of year when all of my favourite bands release their new albums, so I have had a lot to listen to this month. 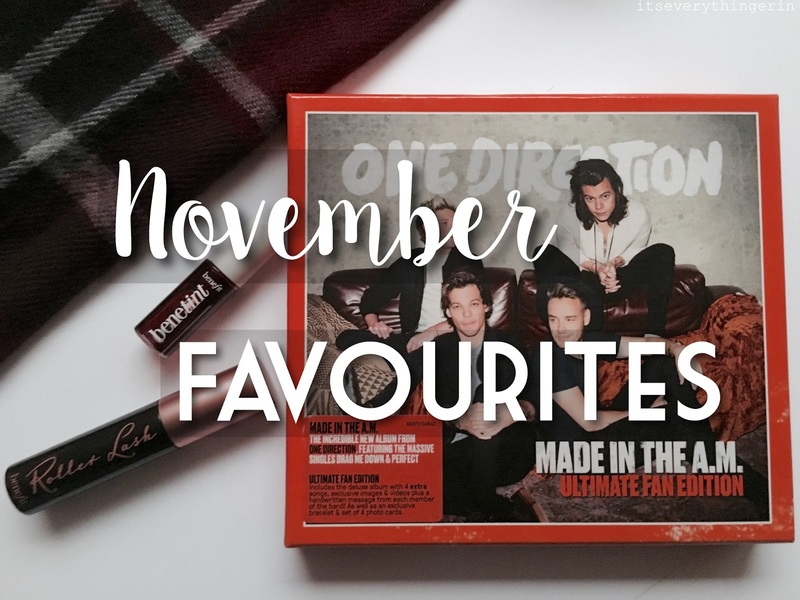 5 Seconds Of Summer's Sounds Good Feels Good has been played a lot this month, as has One Direction's Made In The AM. Late this month The Vamps new album Wake Up has also been released and I am really enjoying it, so far my favourite songs are Rest My Love and Be With You. I LOVE the fairy lights!! I feel like they just automatically cozy up any room :D <3 I LOVE November for all the album releases as well!! Seems like we were born on a pretty good month ;) and OMG!! I completely agree! How is it that it's already December I feel like just yesterday was halloween!? Thank you! I know, where has the time gone? November has flown by! Benetint and Roller Lash are some of my favorite products from Benefit, and your fairy lights are super cute. I have also been loving The Vamps album! 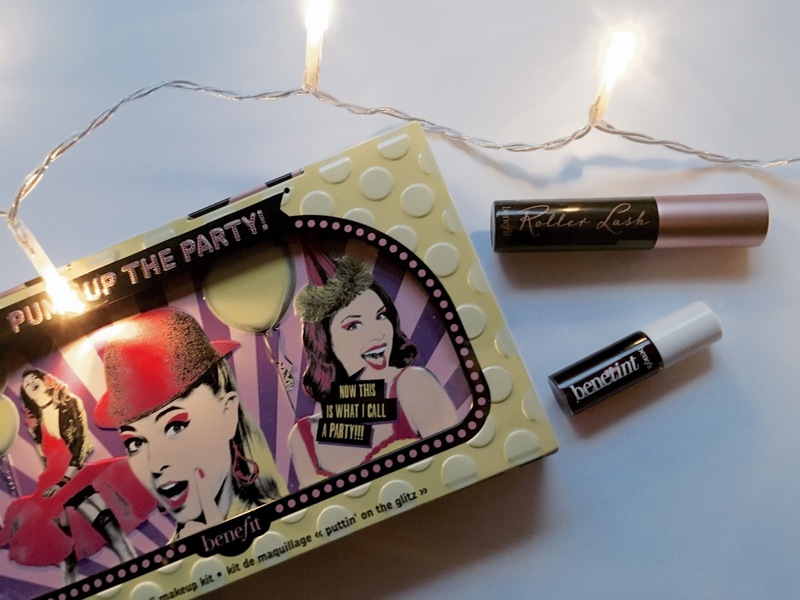 Love the fairy lights and really want to try benefit products.